I have said it before and I am going to say it again now. I love discovering new things about this great state. It seems like I find out something that I didn't know every time that I sit down to write. 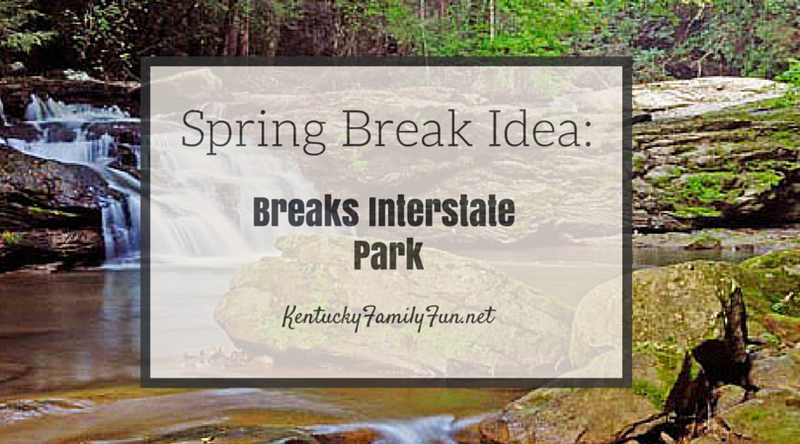 Did you know that in Pike County there is a place called Breaks Interstate Park. It borders Virginia as well but since this is a Kentucky centered site we will focus on the parts that Kentucky brings to the table. 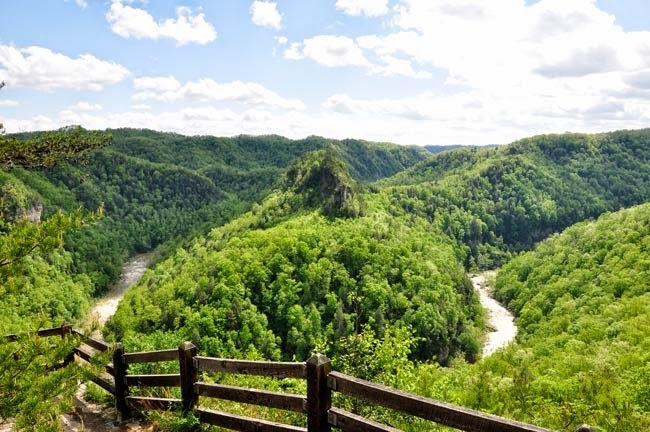 This park is amazing creation of Russell Fork River and it carved out a gorge, the largest gorge east of the Mississippi River. The park is a treasure trove of family activities and just exploring nature's amazing beauty. 25 miles of hiking trails are in the park, mountain bike paths stretch out over 12 miles of this beautiful park. Paddle boats are available for rent, as well as the ability to go on a white water rafting adventure. This whitewater rafting is not for the faint of heart, or little kid. 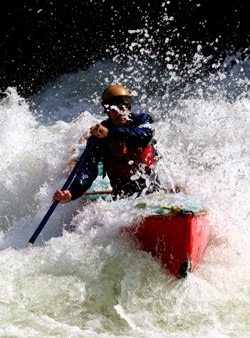 It is known all around the world as the most difficult whitewater anywhere. They also have an area called Splash! in the park, this area opens the Friday before Memorial Day. From the website "A 4,000 square-foot beach-entry leisure pool anchors the water park. Additional features, including a current channel; four water slides; a spray ground; in-pool basketball and volleyball areas; shade structures; and other water features ensure that everyone will enjoy this facility." Admission is reasonable at $5 for everyone under 4 feet and $7 for everyone over 4 feet. If you think you might have time for golf, you can play it here as well. Pretty affordably at $15 for 9 holes with a golf cart or $30 for 18 holes, also with a golf cart. The park also offers a wide variety of lodging options as well. You can see what is available here. This place looks like a fantastic time for you and your family. Let us know if you go check it out! Easter Egg Hunts at the Kentucky State Parks. 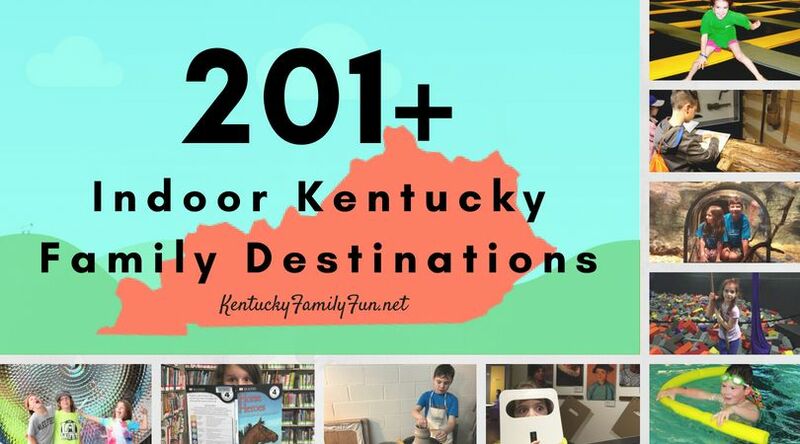 Locally Owned Bookstores in Kentucky. REUSEapalooza at the Kentucky Science Center!